• Ecochill thermal solutions are the only truly environmentally friendly insulation. 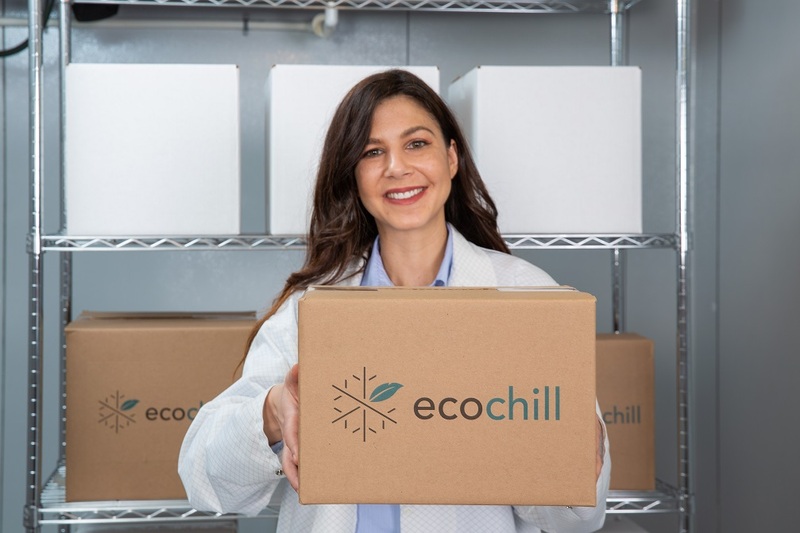 • Ecochill is expertly designed for the shipment of temperature-sensitive products, such as perishable foods, pharmaceuticals, and biologics. • Thermally protects payloads of 35.6-46.4°F (2-8°C), 59-77°F (15-25°C), and frozen. 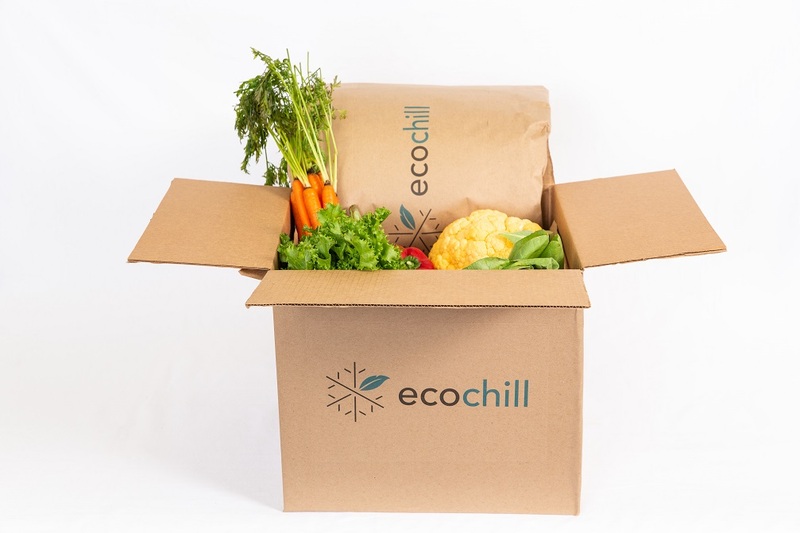 • Food delivery for meals kits can be shipped at 40°F (4°C) and below. • Seamlessly replace harmful Styrofoam while experiencing comparable properties, such as cost, thermal performance, and weight. • Safely protects fragile shipments such as glass and electronics without the need for bubble wrap or packing peanuts. 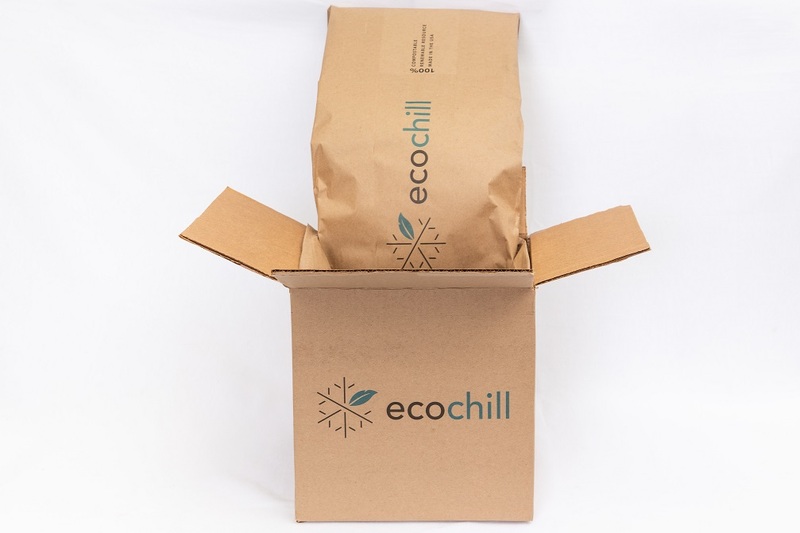 • Ecochill is a 100% natural insulation – free of plastics, chemicals, and GMO’s. • Fully compostable and naturally biodegrades without releasing harmful toxins. • Disposal is easy and safe for the environment. • Simple disposal in local yard waste, compost, or trash. • Quickly and safely degrades in commercial landfills. • Use in your home composter. • Fantastic as a potting medium and in garden beds to retain moisture. 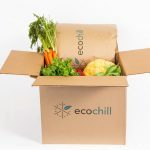 Ecochill insulation systems provide a fully environmentally friendly solution for the home delivery of perishable and temperature sensitive items. Thermally protect items such as food and medicine for shipments ranging from 24 to 80 hours. Refrigerated 35.6-46.4°F (2-8°C), control room temperature 59-77°F (15-25°C), and frozen products can safely and easily be shipped without creating more waste in landfills. Ecochill was strategically designed in two sizes that create over sixteen different sized coolers. 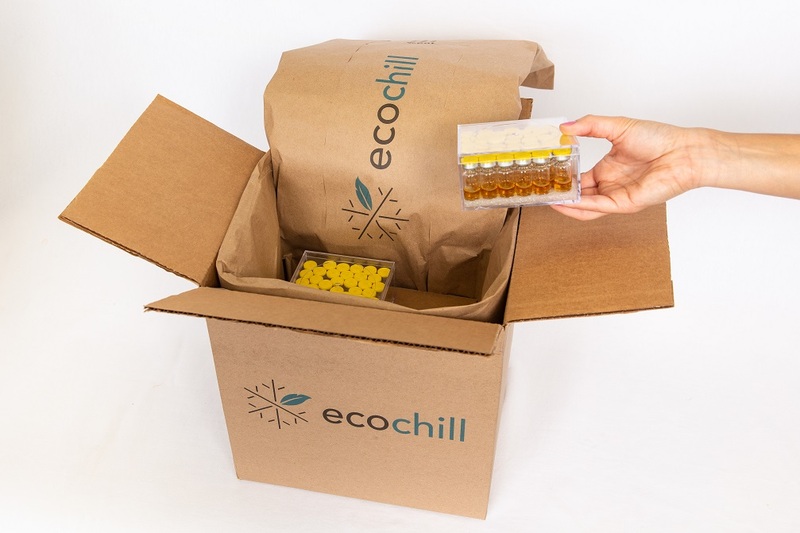 Utilizing our universal Ecochill sizes, small to large size payloads can be shipped in pouches or a variety of box sizes while providing thermal and shock protection. 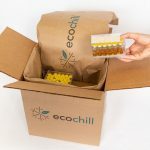 Shipping costs are reduced with Ecochill’s ability to create an optimal size package for each payload. 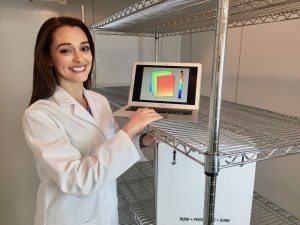 Ecochill insulations systems efficiently minimize warehouse storage space by 75% compared to molded coolers. Ecochill only needs rainwater to produce the insulation, without the use of pesticides or fertilizers. 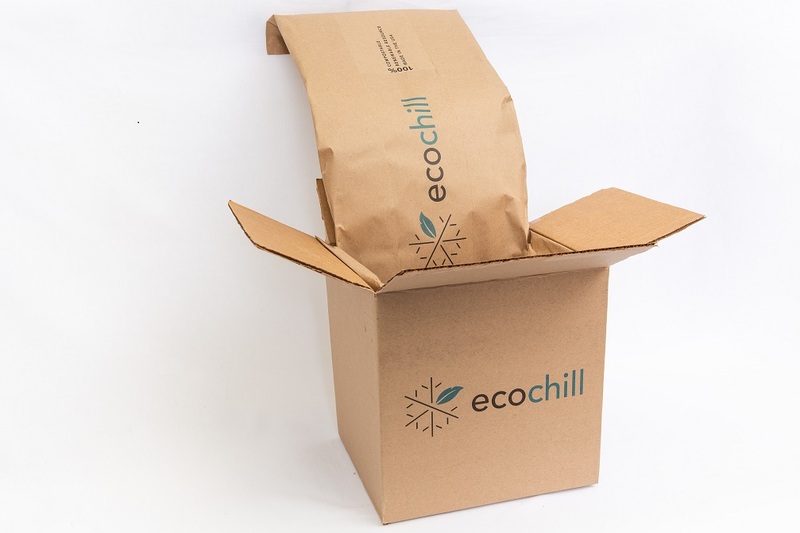 Ecochill requires the least amount of energy to manufacture than any other insulation materials, including Styrofoam, metalized bubble mailers, and other coolers marketed as “green.” Ecochill is the most environmentally friendly cooler for disposal; it is fully compostable. Simply use as yard and gardening mulch to enrich the soil and retain moisture or dispose of as yard waste, composter, or commercial trash. 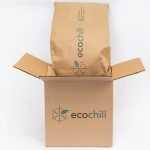 Ecochill quickly and safely decomposes, making it one of the best carbon sources for natural soil building for organic and biodynamic agriculture. 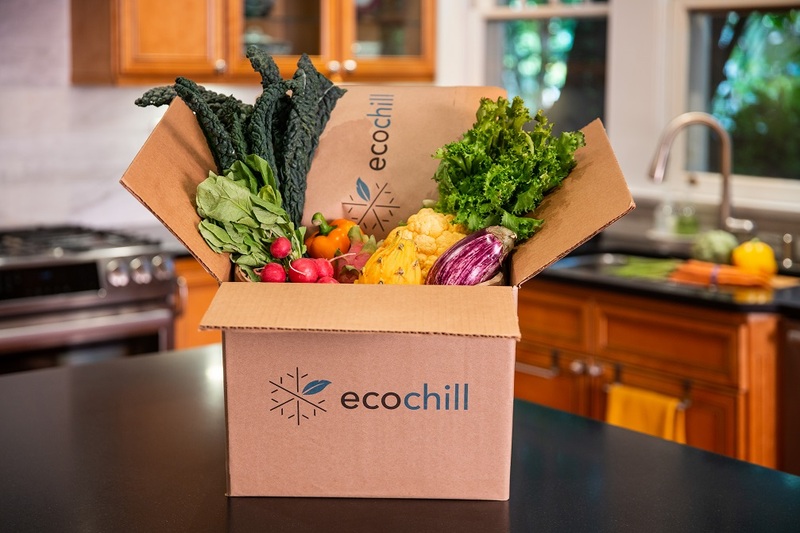 Home delivery meal kit companies are challenged with the need to ship fresh produce and proteins requiring strict temperature maintenance while meeting the consumers desire for green packaging components. Ecochill insulation systems can easily double the thermal protection keeping meats, seafood, and produce at safe temperatures. 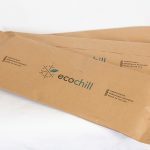 Ecochill is an entirely environmentally green insulation from the origin of the material, through manufacturing, to disposal. Unlike other insulation materials such as, cotton, denim, starch foam, and shredded paper that require significant water, energy, and pesticides yet still contain plastics. Safely protects fragile shipments such as glass and electronics without the need for bubble wrap or packing peanuts. 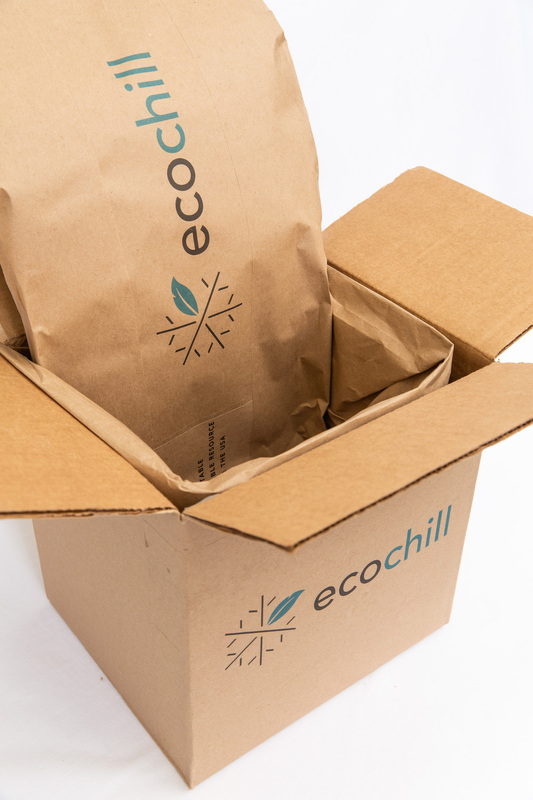 Ecochill is an excellent cushion that absorbs the impact when your shipment is dropped, flipped, and undergoes vibrations. 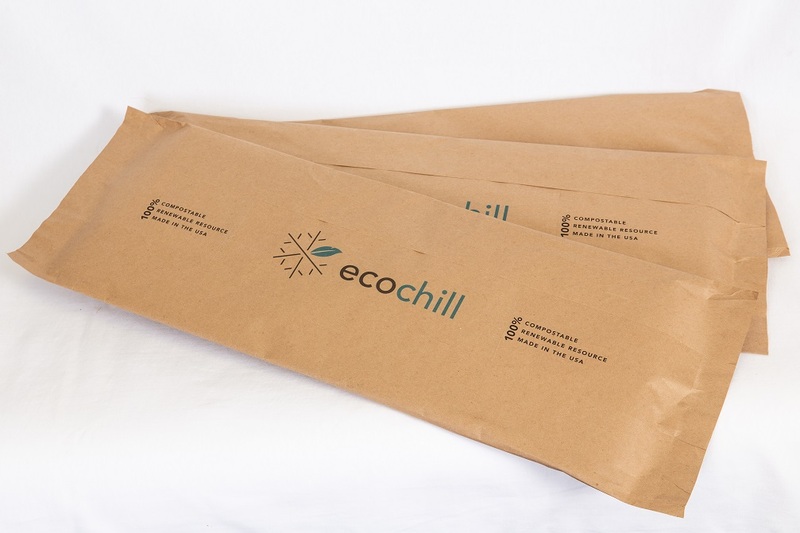 Ecochill’s multi-axial structure protects your payload in any direction when the package is rotated without being affected by temperature or humidity. Learn about our TTx Thermal Solutions!